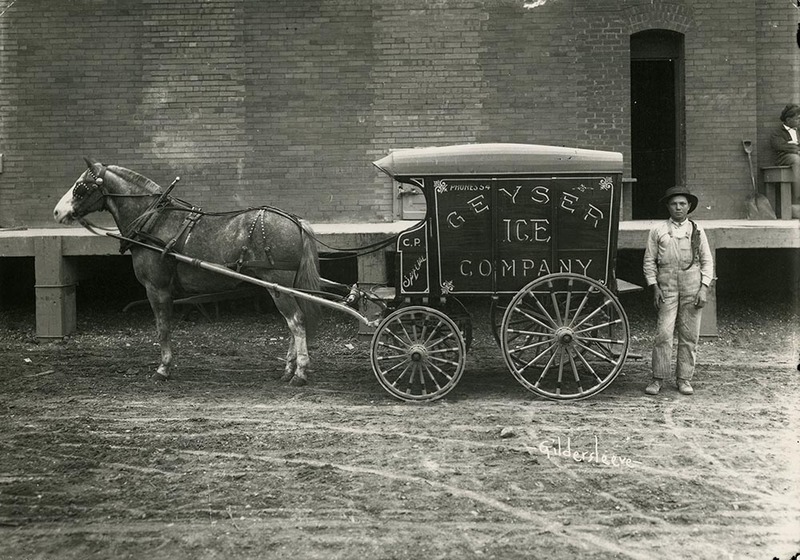 The Geyser Ice Company complex has long outlived its heyday when it supplied ice for trains loaded with meat and vegetables, and when icemen drove their red horse-drawn wagons through Waco’s dusty streets. The collection of industrial buildings at 927 Webster dates back to the company’s founding in 1892. Beer magnate Adolphus Busch, whose Anheuser-Busch Brewing Company also had a beer distribution center next door, owned the plant. In a time when Waco advertised itself as the Geyser City, an artesian well located on the property supplied water for the ice plant. By the 1920s, the plant produced two hundred tons of ice per day which were kept in a multistory cold-storage facility insulated with cork. 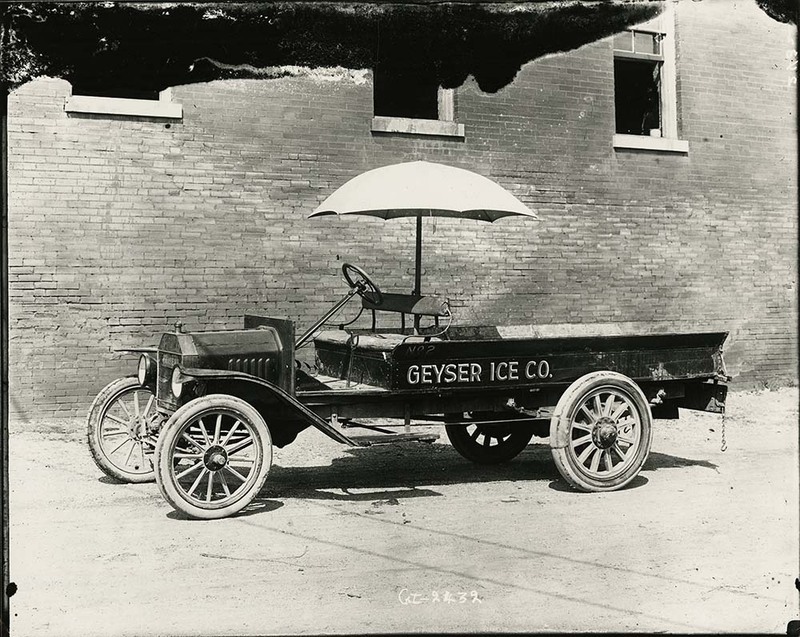 In order to reach greater numbers of customers, the company established ice stations throughout the city, including stations in East Waco, Clifton, and West. The brick building with arched windows at the back of the lot is often viewed as the most interesting part of the site. The building, or something similar in size, is shown on an 1899 Sanborn Fire Insurance map, and it may date back to the 1892 founding of the Geyser Ice Company, making it one of Waco’s oldest commercial structures. Inside is what looks like a swimming pool with a horizontal boom over it. Through the 1970s, that boom was used to pull three-hundred-pound containers of block ice out of a pool of freezing liquid. The company’s horse-drawn wagons, built by a local carriage shop, made for a popular sight around the city. Advertisements posted in the Waco Morning News called Wacoans to look for the big red wagon which served as the head of the fleet and reportedly could carry up to fifteen thousand pounds of ice. 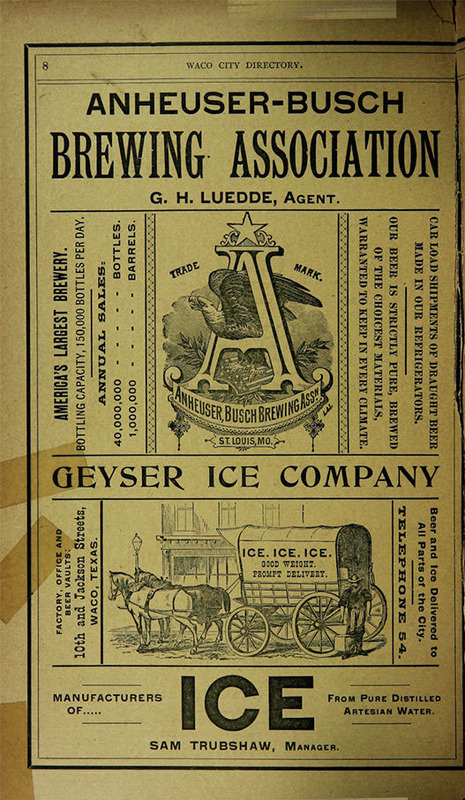 Other ads encouraged customers to use the scale located in the back of every wagon to ensure they received the proper amount of ice upon delivery. The rapid adoption of electric refrigerators after World War II cooled demand for commercial ice. But the Waco ice plant survived, and in 1954 it came under the control of the Southland Corporation of Dallas, which greatly increased its production. Southland was best known as the parent company of 7-Eleven, and it also owned Reddy Ice until the late 1980s. By the early 2000s, Reddy Ice used the multistory vault to store up to one million pounds of ice a day, but it had ceased manufacturing ice there. 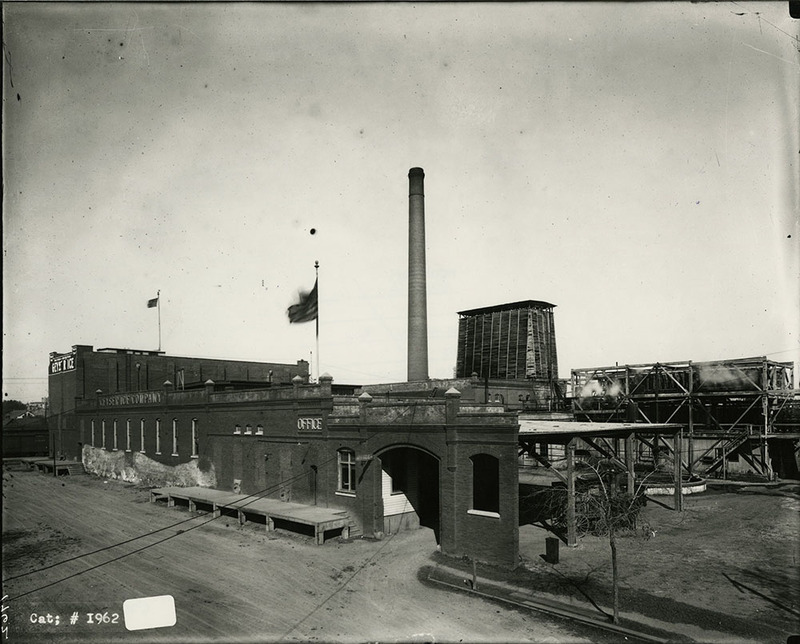 In 2001, the company tore down an older part of the ice plant, decreeing it no longer usable. 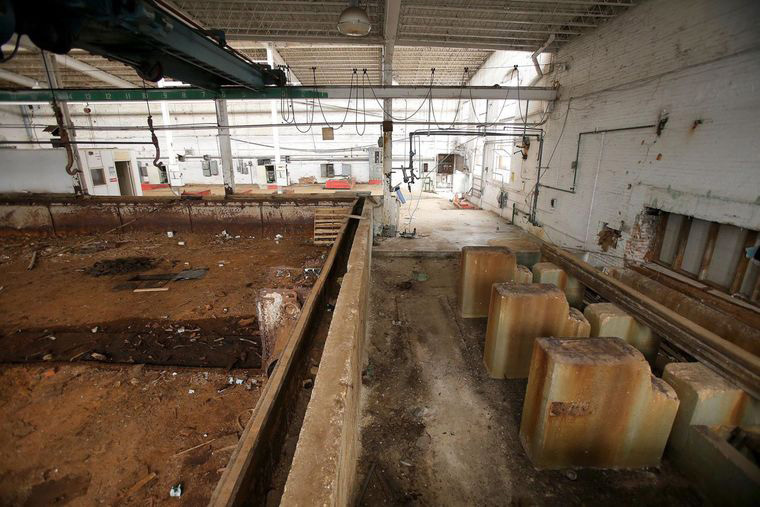 Today the plant sits vacant, with crumbling bricks, broken windows, and signs of squatters. But a local investment group hopes to reinvent the plant for a new century. Rydell Capital bought the 2.4-acre property in December of 2015 from Reddy Ice Company, which two years ago vacated its ice distribution business there in order to consolidate with a facility in Whitney. Rydell general counsel Dillon Meek said the company has no specific plans for the property but intends to renovate the buildings to suit a mix of commercial tenants. Such use could place the ice plant alongside other iconic Waco sites—such as the Praetorian building, the Hippodrome, and the Brazos Valley Cotton Oil Mill—in contributing to the reinvigoration of downtown through the preservation of the city’s history. J. 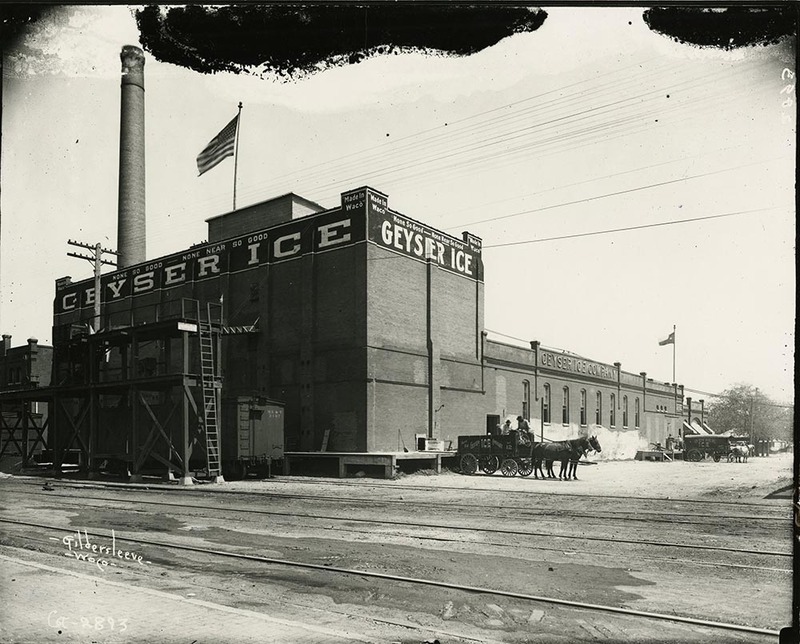 B. Smith, “Geyser Ice Company,” Waco History, accessed April 26, 2019, https://wacohistory.org/items/show/135. A version of this article originally appeared in the Waco Tribune-Herald. Smith, J. B. 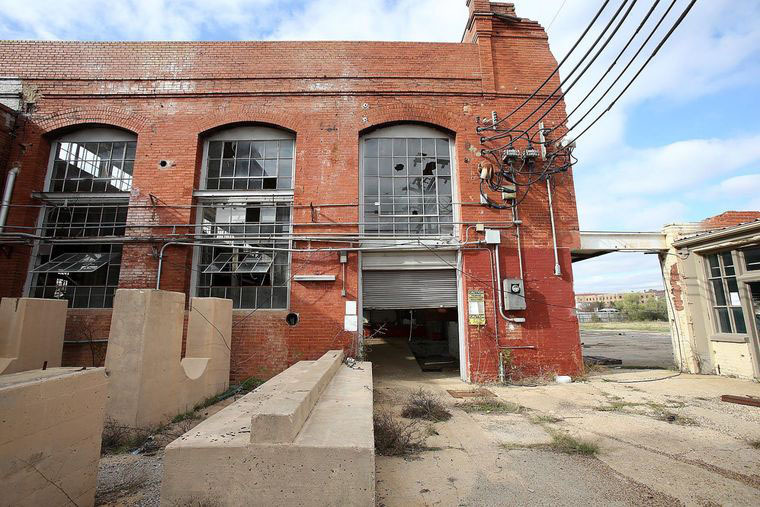 “19th-Century Waco Ice Plant Targeted for Downtown Development.” Waco Tribune-Herald. January 2, 2016. Ryan, Terri Jo. “Brazos Past: Life in Waco Before Air Conditioning.” Waco Tribune-Herald. September 7, 2013.